Family law goes by a few names such as matrimonial law or law of domestic relationship. Family law is exactly how it sounds; it’s a type of law that has to do with family matters and domestic relationships. At The Law Offices Of Ronald Kossack, we deal with family law and thus can help you figure out matters that have to do with this type of law. 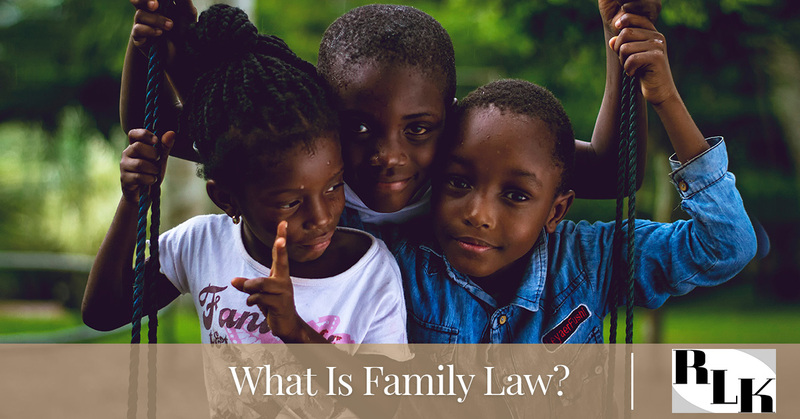 While family law has to do with marriage, domestic partnerships, surrogacy, child protective proceedings, juvenile law, and adoption, at The Law Offices Of Ronald Kossack, our focus areas are listed below. If you are interested in hiring a family law lawyer or you’re having issues with an existing court order, then The Law Offices Of Ronald Kossack can be of assistance in resolving the issue. One in two couples in America today get divorced. While these statistics are a little alarming, divorce can sometimes be the best option for both parties involved. If you’re fighting, unhappy, or your goals aren’t lining up, then a divorce can sometimes be the best option. Even though it’s a difficult and emotionally distressing process, there’s a reason you and your spouse are divorcing. While we encourage those who are getting divorced to go to divorce mediation, divorce can go to court as well. When you go through a divorce, you’ll need to comb through your income, assets, and if you have children, what type of custody arrangement would be best for the child. Child custody is another aspect of family law. It is a legal term that’s used to describe the relationship between a parent or a guardian between a child in the person’s care. This can be seen as legal or practical and child custody in Arizona is determined by what’s best for the child. Child custody should make the life of the child easier and ensure he or she is properly cared for. While it generally goes hand-in-hand with divorce, it doesn’t always have to. There are a few different types of child custody such as joint, sole, and physical. Child custody is a difficult process for the family because it can be drawn out for a very long time and can get very nasty if there is animosity between the parents. If you’re dissatisfied with the child custody ruling, then you can always go through a modification to change the outcome of the situation. Keep in mind that every child custody battle is different and should be treated separately. Another aspect of family law is child support. Child support goes hand-in-hand with child custody, paternity, and divorce. While child support can bring a mountain of dread to someone who doesn’t want to pay it, in the State Of Arizona, there are certain guidelines that should be adhered to ensure the parent has the proper funds to care for the child. A child deserves to have a certain standard of living, which is why it’s vital that child support is paid. If you and your spouse had stayed together, your child would have lived a different life due to the financial situation, which is the benefit of child support. Child support is to properly care for the child not to create a luxurious life, but one that’s comfortable to ensure he or she is not wanting for anything. Paternity law falls under family and helps to determine the biological parent of the child. Paternity law is needed to determine who the biological father is and the mother of the child to make decisions on behalf of the child. This includes parent time, child support, and child custody. In addition, if there’s a medical issue, it’s vital to know the paternity of the parents as well. The paternity laws in Arizona detail that if a child who is born during a marriage is thought to be the offspring of the wife and the husband who are married. If one of the parents say that the child was conceived by someone else who is not in the marriage, then a paternity tests is required to figure out who the biological parent may be. Alimony or spousal maintenance is when one spouse provides the other spouse with money since they are at a financial disadvantage after the divorce has been finalized. Generally, alimony is allocated when one spouse is a non-wage earner or a lower-wage earner in comparison to the other spouse. The lower/non-wage earner is unable to make ends meet without the little bit of extra money. Alimony is settled on by an agreement, the court, or because of negotiations. Alimony can be a longer term situation or a temporary one. In the State Of Arizona, alimony is determined because of wage histories, educational background, work histories, children, financial needs of the party, permanency or temporary, and room for future modification. Lastly, we offer prenuptial agreements. Prenuptial agreements are a great way to protect yourself for any future marriage disagreements. If you are preparing to get married, then a prenuptial agreement is always a good idea. While it’s not a romantic notion to create a contract in case you have any future disagreements, it is a beneficial decision. It’s always important to be cautious if a marriage doesn’t succeed and by creating a prenuptial agreement, you won’t have to worry about property division or financial issues later in life. Whether this is your first or third marriage, it’s vital that a prenuptial agreement is taken into account. What A Family Lawyer Can Do For You? A family law lawyer can help you with any of these legal matters. From divorce to prenuptial agreements, The Law Offices Of Ronald Kossack have you covered. We are able to understand what you need and how you can create goals to ensure you’re getting the best outcome that you want for your situation. While family law can be emotionally distressing, our law office can always offer possible alternatives and solutions for your situation. Whether you’re looking for a short or a long term solution, our family law lawyers have you covered due to our expertise. In addition, we’ll offer a free initial consultation when you come visit our law office in the Tempe, AZ, area. We cater to Phoenix as well as the other areas around Tempe.